If your children spent any time watching the Royal Wedding last week, perhaps they'd enjoy seeing more of the historical city of London on DVD. Often kids are really thrilled when they recognize something in a movie, like Buckingham Palace or Westminster Abbey. 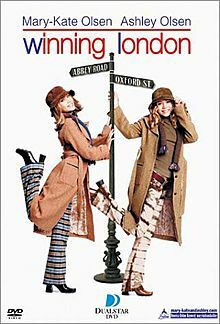 If you're up for it, Mary-Kate and Ashley Olsen's film Winning London , a 2001 video, might just be a good choice for your next family movie night. In this film, the teenage Olsen twins go to London, England, to participate in the Model United Nations competition and see all the sights, visit Parliament, shop, and fall in love with cute British boys with charming accents. There is a brief kiss between boy and girl, but Winning London is rated G, so there's nothing to worry about. Overall, it's predictable, entertaining, and humorous family fun. You can watch the trailer here to check it out.